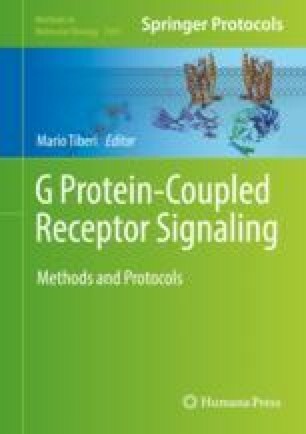 Engineered G protein-coupled receptors (DREADDs, designer receptors exclusively activated by designer drugs) are convenient tools for specific activation of GPCR signaling in many cell types. DREADDs have been utilized as research tools to study numerous cellular and physiologic processes, including regulation of neuronal activity, behavior, and metabolism. Mice with random insertion transgenes and adeno-associated viruses have been widely used to express DREADDs in individual cell types. We recently created and characterized ROSA26-GsDREADD knock-in mice to allow Cre recombinase-dependent expression of a Gαs-coupled DREADD (GsD) fused to GFP in distinct cell populations in vivo. These animals also harbor a CREB-activated luciferase reporter gene for analysis of CREB activity by in vivo imaging, ex vivo imaging, or biochemical reporter assays. In this chapter, we provide detailed methods for breeding GsD animals, inducing GsD expression, stimulating GsD activity, and measuring basal and stimulated CREB reporter bioluminescence in tissues in vivo, ex vivo, and in vitro. These animals are available from our laboratory for non-profit research. The authors gratefully acknowledge financial support from the National Institutes of Health National Institute of Diabetes and Digestive and Kidney Diseases (R01-DK092590 to RB) and the British Heart Foundation (FS/16/1/31699 to NSK, PG/15/47/31591 to JAM and NSK, and RE/13/4/30184 to JAM and NSK). The funders had no role in the study design or preparation of this chapter.